for the World’s biggest beach cleanup! And if you are a large group, please sign your group up HERE. Each year in September, our Earth Heroes of all ages take action during California Coastal Cleanup Day. Since 2005, over 36,000 pounds of debris have been removed from the San Mateo County coastline by more than 9,500 volunteers. The Pacific Beach Coalition has been hosting this annual statewide cleanup since 1998 – held on the same day as The Ocean Conservancy’s International Coastal Cleanup Day, one of the largest volunteer events around the world. 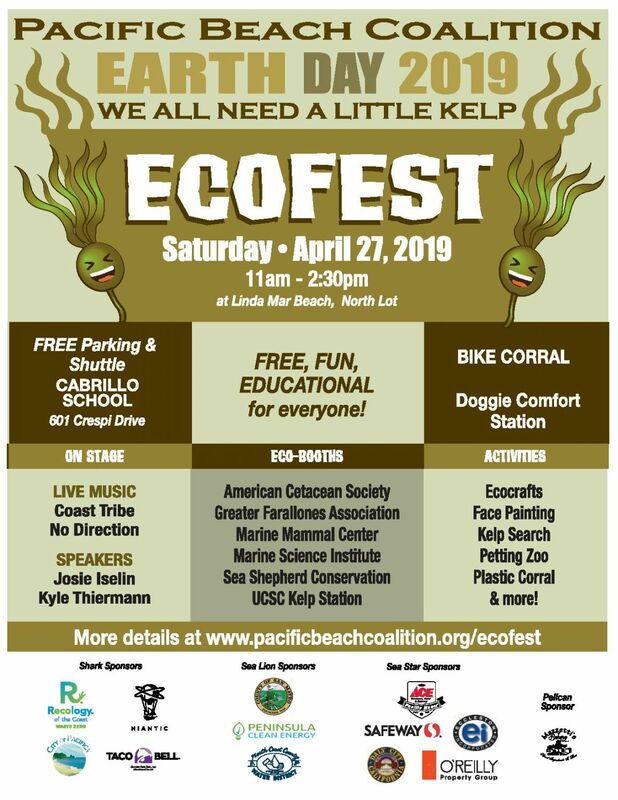 We coordinate these cleanups at the local level along the San Mateo County coast as part of our field education programs in partnership with the California Coastal Commission and San Mateo Countywide Pollution Prevention Program. 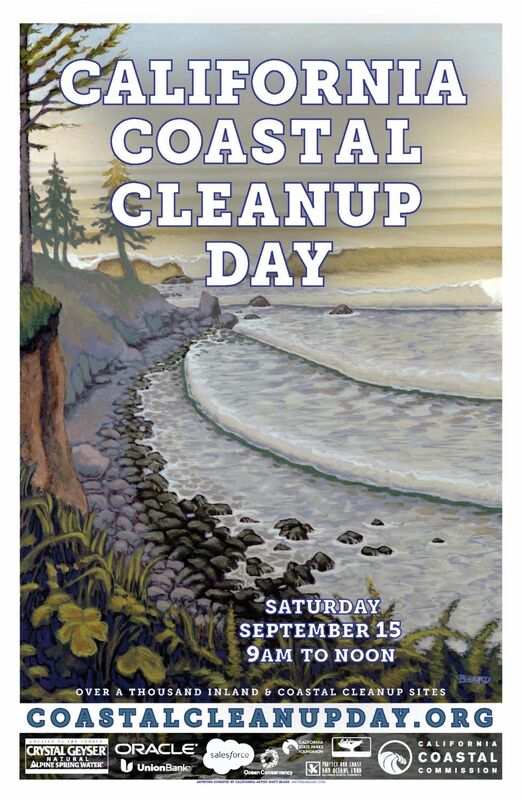 Sign up now and be a volunteer for this year’s Coastal Cleanup Day! Let’s all make trash extinct! 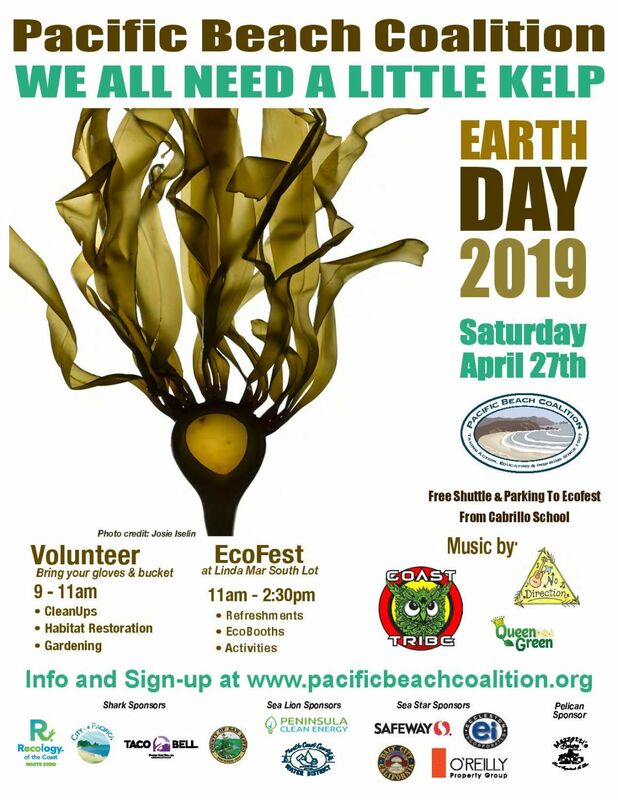 Join us to pick up and clear away debris collecting along our beaches, parks, shoreline, creeks, parking lots and neighborhood streets from Mussel Rock to Sweeney Ridge to Pedro Point to Half Moon Bay. Our beach cleanups and habitat restoration events are part of the International Coastal Cleanup, organized by the Ocean Conservancy. 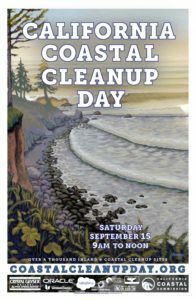 California Coastal Cleanup Day is the largest volunteer event in the US and International Coastal Cleanup Day is the largest volunteer event on the planet! Coastal Cleanup Day is about much more than picking up trash. It’s a chance for Californians to join people around the world in expressing their respect for our oceans and waterways. It’s an opportunity for the community to demonstrate its desire for clean water and healthy marine life. And it’s a moment to share with one’s neighbors, family, and friends, coming together to accomplish something vital and worthy on behalf of our environment. Who can participate? Adults, kids, families, seniors, students, groups, teams, businesses, volunteers, anyone! Where will cleanups take place? 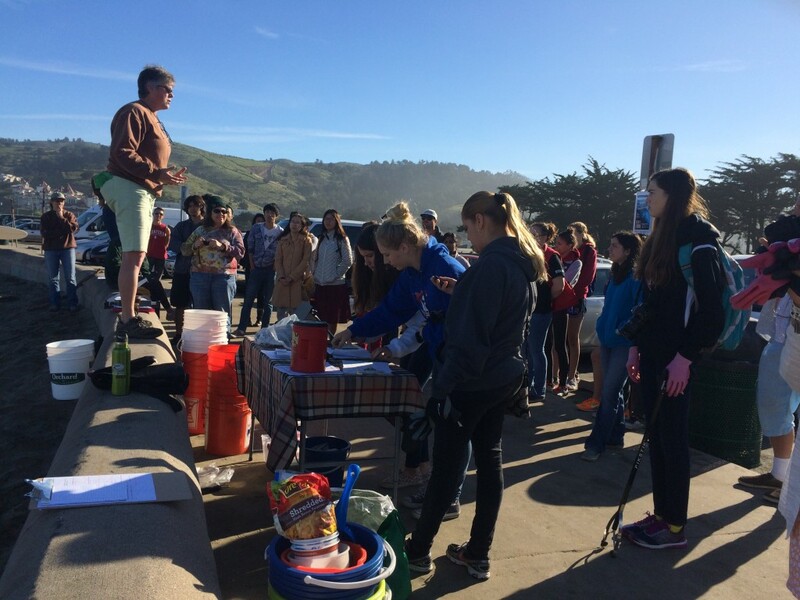 At organized cleanup sites throughout Pacifica, and from Mussel Rock to Half Moon Bay. Sites include our Adopt-A-Beach sites as well as “hot spots” in Pacifica and along the coastline. You can also register to Adopt-A-Hot-Spot, and or choose your own site. Join our online community on archives, and learn more about the Top 10 Items Collected During Coastal Cleanup Day in Pacifica since 2005. We look forward to seeing you in September. Online registration now open, sign up today! For large groups, please sign up here. PBC President Lynn Adams addressing volunteers ready for some trash pickup action!